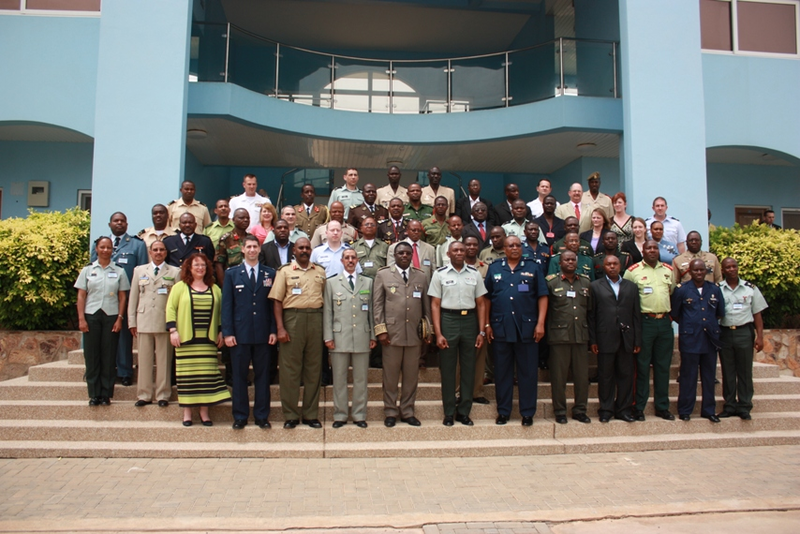 Between 23 and 25 March 2010, U.S. Africa Command held its first Inspector General (IG) Conference at the Kofi Annan International Peacekeeping Training Centre in Accra, Ghana. The conference was hosted by the Command’s Inspector General, Colonel Ronald Baldinger, and the Commands Chief of IG Outreach, Christine Byrne, from the U.S. Agency for International Developments Office of Inspector General. Enhance the understanding of how Inspectors General serve as a sound construct for defense oversight and for strengthening confidence, morale and trust within a military service. Develop a basic understanding of several functions of Inspectors General within a select number of countries and organizations. 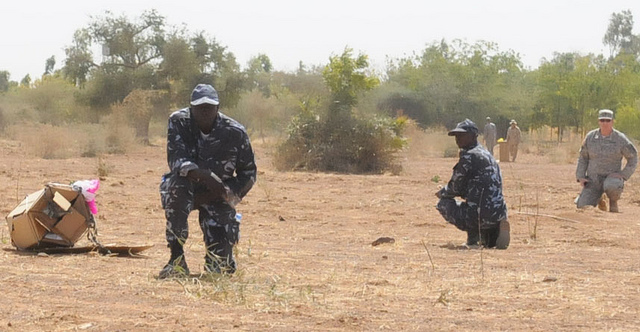 Enhance the understanding of how corruption influences government’s ability to care for and protect its people, and how Inspectors General can assist in fighting corruption within the Military. Develop a basic understanding of United States government ethics and standards of conduct required for its public servants and officials, and how these standards contribute to the above goals. Conference participants included senior military leaders and inspectors general from 21 African nations located throughout the continent. 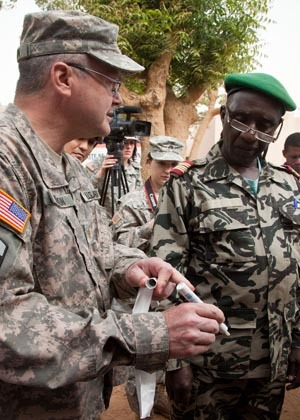 Representatives from U.S. Africa Command, U.S. Army Africa, U.S. 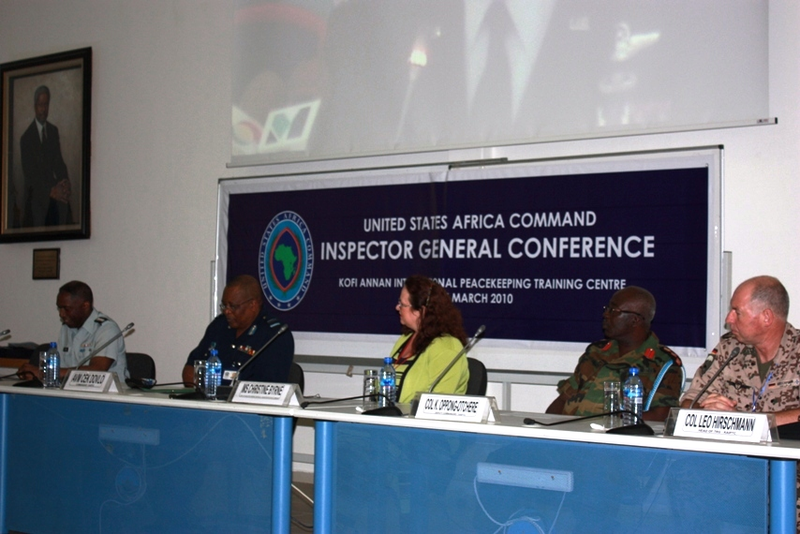 Naval Forces Africa, and the Utah National Guard, as well as the principal deputy for the U.S. Department of Defense’s Office of the Inspector General, Ms. Lynne Halbrooks, provided presentations on the U.S. Inspector General system within the U.S. military and the Department of Defense. Colonel Nicolas Casanova from the French Inspection Generale des Armees (IGA) spoke about the French Inspector General System. In addition, several thought-provoking presentations on the impact of corruption in Africa and anticorruption efforts being taken within the continent were provided by representatives from the African Parliamentarians’ Network Against Corruption, the Anticorruption Commission of Sierra Leone, and the U.S. Agency for International Development. Initial feedback from participants was extremely positive. In fact, several participants requested future conferences and training on the topic of Inspectors General to enhance and further develop the IG functions within their own country. 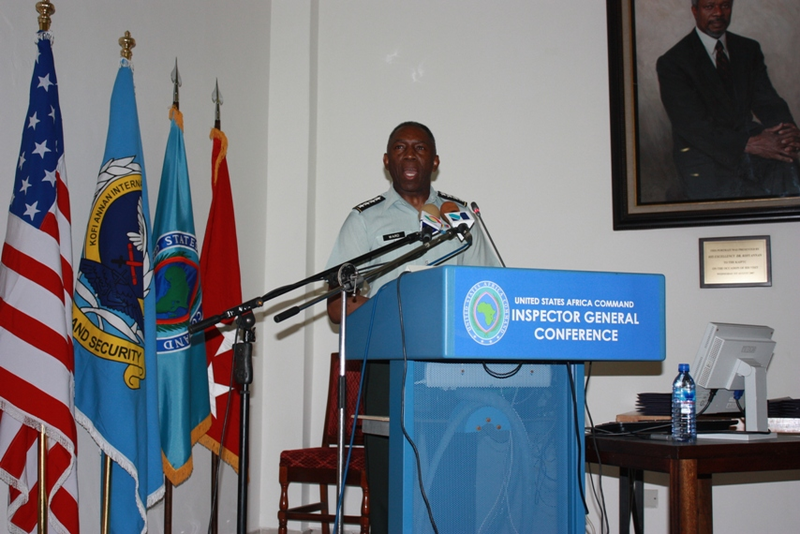 The conference highlight was the closing address by the Commander of U.S. Africa Command, General William “Kip” Ward, who spoke to the great value of Inspectors General and his experiences with them throughout his career. IGs, in whatever function or capacity, have a great impact on the success of the organizations that they are associated with. I’ve always known this and am glad that it is being embraced more and more by our partners. After all, IGs really are here to help!! Vicenza, (Stars and Stripes) – U.S. Army Africa has added Brig. Gen. David Elmo and Brig. Gen. Isaac Osborne to its ranks. Both will serve as deputies to Maj. Gen. William Garrett. UNITED NATIONS, (KUNA) — UN Special representative for Somalia Ahmedou Ould-Abdallah warned late Thursday that the security crisis in Somalia is no longer regional and that the extremists, who include a number of very-well funded foreigners, pose a threat to neighboring countries. Nairobi, (Shabelle) — The Foreign Office Minister for Africa, Baroness Glenys Kinnock, is visiting Kenya between 13 and 15 January for wide-ranging discussions on bilateral and regional issues with members of Government, Parliament and civil society. Mogadishu, (Gulf times) -The pro-government Ahlu Suna Waljama group has been battling insurgent group Hizb ul-Islam in the town of Beledweyene. Kampala, (allAfrica) – The Joint Anti-Terrorism Task Force (JATT) has arrested 15 Ethiopians who attempted to travel to Rwanda early this week. Sea attacks world-wide surged 39% in 2009 to 406 cases, the highest in six years, with Somali pirates’ raids on vessels accounting for more than half of the piracy. Conakry, (News Meat) – The United States is hoping Burkina Faso’s President Blaise Compaore will persuade the leader of a military coup in Guinea against returning home, a senior State Department official told AFP. Conakry, (BBC) – Capt Moussa Dadis Camara seized power in Guinea in December 2008 . Mogadishu, (AP) – Italy will fund the operations of key ministries of the fragile Somali government battling a long-running Islamic insurgency, the Italian foreign minister said on Thursday. ABUJA, (AP) – Nigerian lawyers who want the country’s ill president temporarily replaced went to court Thursday. ABUJA, (Afriquejet) – The kidnappers of four expatriate workers in Nigeria have demanded a ransom of 300 million naira (US$2 million) to effect their release, the police said. Addis Ababa, (Afriquejet) – The coming into force of the treaty of common defense for African Union countries, and the beginning of the application of the binding clauses for the implementation of that treaty announced on 1 January 2010 by AU Commission, are seen as concrete steps towards a single African army. JOHANNESBURG, (Reuters) – Southern African leaders urged the international community on Thursday to reject plans by Madagascar’s military-backed Andry Rajoelina to ignore power-sharing talks and hold an election. TUNIS, (Reuters) – Tunisian President Zine El Abidine Ben Ali appointed new finance, defence and foreign affairs ministers in a major reshuffle of his government, the official TAP news agency reported on Thursday. NAIROBI (Reuters) – Floods in Kenya after heavy rains have killed 38 people and forced more than 40,000 from their homes, the Red Cross said on Thursday. Nairobi, (Business Daily) – Mombasa has become the first regional port to be included in the Megaports programme initiated by the US government in 2003 to secure world ports from threats by terrorism. New Delhi, India (Institute for Defense Studies and Analyses) – The rise of African Muslim extremists has caused concern in the international community. 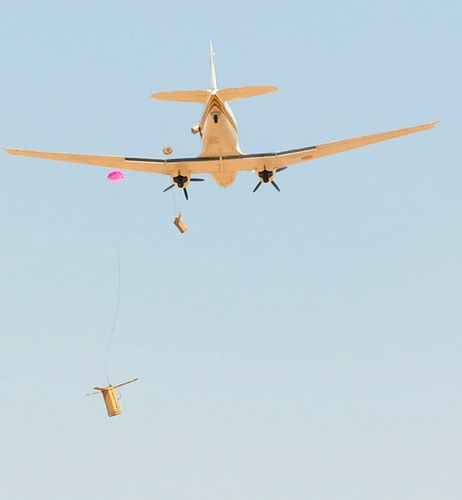 Darfur, (Voice of America) – Armed clashes have re-emerged in western Sudan’s Darfur region, with the Darfur rebel Sudan Liberation Movement group attacking government positions at Golo town in the mountainous Jebel Marra region in north Darfur. Maputo, (Yahoo) – Mozambican President Armando Guebuza, who has promised to relax foreign investment rules and push ahead with economic reforms, was sworn in for his second term Thursday and said fighting poverty, was his priority.